We’re just three weeks away from Mexico in a Bottle Chicago and we’ve put together a whole bunch of great programming, both in and out of the event. Chicago Rum Fest is Saturday, April 27th at Logan Square Auditorium and we are very happy to be working with them – a specially priced two day ticket gets you into both the Rum Festival and Mexico in a Bottle so be sure to take advantage of this offering! There’s also a mezcal brunch to get you ready for the big event on Sunday, April 28th. Young American (in the old Las Flores space and just around the corner from Logan Square Auditorium) will feature special brunch dishes along with a few Duranguense mezcals from Lagrimas de Dolores on April 28th. It’s a great way to carbo load before the mezcal marathon begins at 4pm. As for Mexico in a Bottle, early bird ticket sales end April 8th so don’t wait to get your ticket. The price goes up $15 on April 9th and the event will sell out! You do not want to miss this – just check out the line up of brands that will be there! More than 140 expressions representing almost all of the Mezcal DO producing regions (one day Tamaulipus we’ll have you fully represented!) plus destilados from other areas. We’ll also have Tequila, Bacanora, Sotol, Raicilla, liquouers, charandas, rum and more. Accompanying the dizzying array of spirits are tasty bites and sips from Bar Sotano, Quiote, La Josie, Dove’s Luncheonette, Estrella Negra, Carnitas Uruapan, Dos Urban Cantina and Old Irving Brewery. Our tiendita will be in full operation, featuring beautiful crafts from Pilsen Outpost, National Museum of Mexican Art, the Mezcalistas merch booth where we will unveil our new Mexico in a Bottle shirts, SACRED Agave, the Lit and Luz Festival, art by Chema Skandal and the Moreno’s Liquors bottle shop! Finally, we have some terrific in event programs lined up by Tess Rose Lampert featuring a dive into the Durango mezcal scene, a look at different distillation styles with Rion Toal, and book signing/reading of Understanding Mezcal with Jay Schroeder. But wait, there’s more! 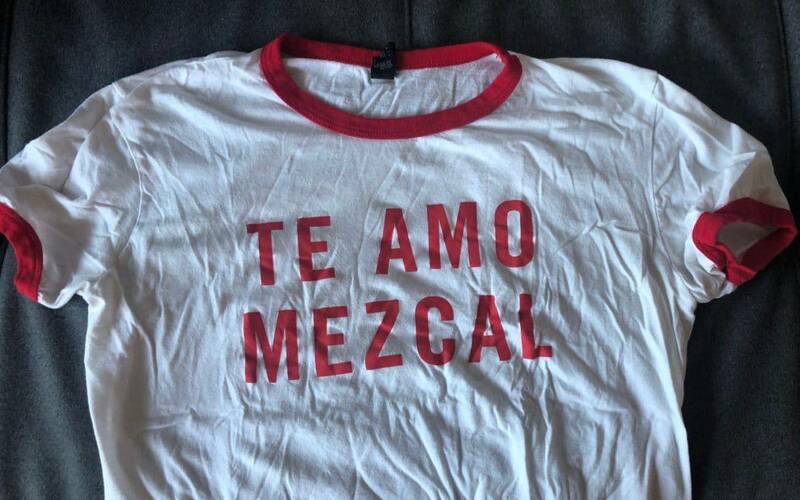 Join us for Spirited Conversations – a Mezcal Collaborative initiative, on Monday, April 29th at the National Mexican Museum of Art where Emma Janzen, author of Mezcal and digital editor at Imbibe moderates a panel talk – Is Big Mezcal Bad? She’ll be asking all the big questions with Gilbert Marquez of Ilegal Mezcal, Lou Bank of SACRED and Jay Schroeder of Todos Santos. $15 tickets are available here. Finally, we wrap up the mezcal festivities with a special spirits and bites pairing on Tuesday, April 30th at Bar Sotano featuring super rare distillates including not only mezcal but also Tuxca and ComitecoCruz de Fuego, Almamezcalero, Mezonte, Wahaka and Rezpiral, Tickets are available here. We’ve also got a couple of other things in the works so keep your eyes open. We can’t wait to raise copitas with you!